However, the good thing about it being so long is that they’re so many hard cases with interesting conclusions that for those of you who enjoy Detective movies/animes, like me, it never gets old. 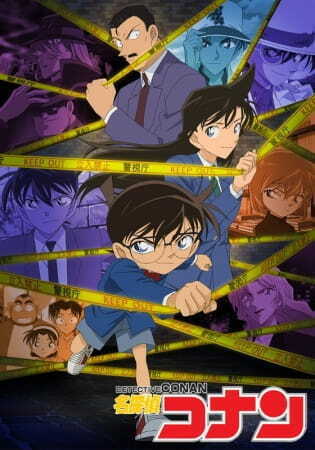 In fact, I’d say that Conan is the best detective anime I've ever come across. The bigger plot is also well thought out and interesting, clues and hints sometimes coming out of smaller plots to form an "invincible" organization vs. Conan (or Shinichi). The sound is the best, well known voices could be heard for Shinichi and Conan's characters, the emotions are portrayed thoroughly thought them too. Minor or cameo characters like Kaido Kid never fail to amaze you, they're tricks are broad and though you might think you can spot a pattern in the cases, there's always this one or two episodes that breaks the pattern completely.